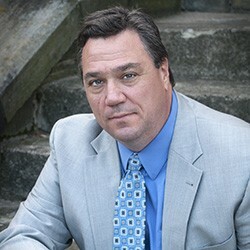 Thomas J. Connick is the father of three sons, all of whom were in attendance at Chardon High School on 2-27-12, the day three students were shot and killed and three other students were injured. Mr. Connick’s sons were unharmed that day but were very much affected by the tragedy. Tom served the Chardon community as the Secretary of the Chardon Healing Fund, an organization established in the immediate aftermath of the Chardon shootings to help victims, their families, and the Chardon community in their recovery. Mr. Connick is an Attorney-at-Law and owner of Connick Law, LCC. He is a graduate of John Carroll University and has a Master’s Degree from Akron University. He also holds a Juris Doctorate from Cleveland State-Cleveland Marshall School of Law. Mr. Connick is highly accomplished in the field of law. He is an A-V rated (highest rating): Martindale-Hubbell. He a Top-Rated Attorney by Cleveland’s Legal Leaders as well a Super Lawyer’s Rising Star. The Life Member Million Dollar Advocates Forum named Mr. Connick one to the Top Trial Lawyers of America. He is also one of Best’s Recommended Insurance Attorney. Tom and his wife Corinna reside in Chardon with their three sons, John, Joe, and Mike.